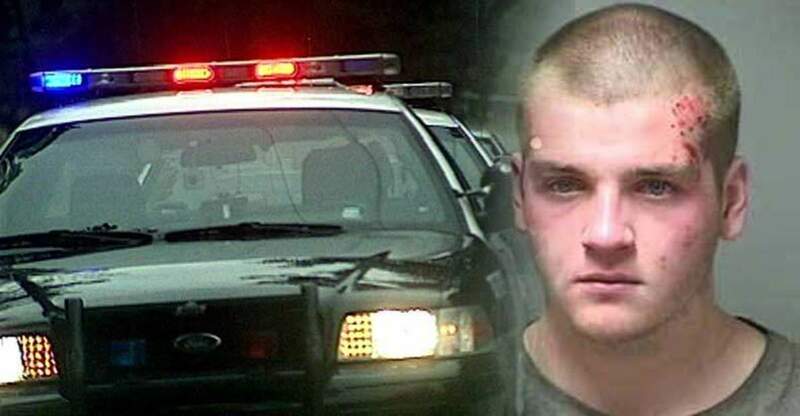 Teen Beaten, Pepper Sprayed, Tasered, Arrested because Cops Said he Had "No Legitimate Purpose"
Manchester, NH — Connor DeLeire, 18, was not breaking any laws, not causing anyone harm, and was on public property when he was approached by police, beaten, tasered, pepper sprayed and arrested. DeLeire was sitting in the driver’s seat. Cataldo drove by the car and then circled the block to get a better look and determine if Deleire was there for legitimate purposes, according to a news release sent out by Lt. Brian O’Keefe. Cataldo then approached DeLeire and attempted to “determine if he was there for legitimate purposes.” Like most people who are approached by armed agents of the state who can legally kill you, DeLeire was nervous. He gave the officer his identification and “attempted to provide a legitimate reason for being in the area,” O’Keefe wrote. Cataldo felt he was there for no legitimate purposes and asked him to step out of the car. When Deleire did, Cataldo noticed a holstered Beretta 9mm. Cataldo took it, placed it inside the car and continued speaking with Deleire. Deleire, police said, grew agitated and stated he was not agreeing to his person or property being searched. Unconcerned that his questioning had turned into a rights-violating unlawful detainment, Cataldo continued. New Hampshire is an open carry state and a permit is only required if the owner wishes to carry a loaded gun in a vehicle. When Cataldo began to pat down Deleire, he discovered the magazine in DeLeire’s front pocket. It is important to note that Deleire had broken no law at this point. The only person in violation of any law was officer Cataldo as he had no probable cause for the stop. Four officers then beat down, pepper sprayed, and tasered a man whose only “crime” was “resisting” his armed aggressors. DeLeire was then arrested for “resisting arrest” and brought to jail. He was later released on a $1,000 personal recognizance bail and is scheduled to appear in court on Nov. 24. For the actions of these officers, the taxpayers of Manchester will now be held to the fire for the subsequent lawsuit that will most assuredly result from this situation. There are two things that could have prevented this situation, the first of which is the least likely. Had police respected the Constitution, this entire incident would have never happened. However, as we’ve seen time and again, cops continue to fail to respect the constitutional rights of citizens. The situation could have ended after those questions. Or, if the officer continued to violate his rights, DeLeire should have pulled out his camera and documented the officer’s crimes while continuing to remain silent and assert his rights. Knowing that police are willing to violate your rights is only half of the solution. The other half of the battle is your ability to defeat them at their own game by knowing your rights, and effectively asserting them. Since this story broke, we have been contacted by DeLeire’s family who tells the Free Thought Project that he actually had a concealed carry permit, so this was a non-issue. They also told us that DeLeire asked if he was being arrested and police gave him no response. Once he was thrown on the ground and down, police then tasered and pepper sprayed him. Images given to the Free Thought Project by DeLeire’s family are much worse than the media released.